The Roku Streaming Stick offers a solid app selection, good-enough performance, and some neat tricks for $50. Roku’s been busy on the hardware front lately. After launching three new streaming-TV boxes last year, the company is back with a new low-cost option in the $50 Roku Streaming Stick. Like the version that Roku released in 2014, the new Streaming Stick (model 3600R) is a thumb-sized device that plugs directly into your TV’s HDMI slot. You can then use it to stream internet video services such as Netflix, Hulu, and Amazon Prime. This year’s upgrade packs a major speed boost, allowing the Streaming Stick to rival some of Roku’s recent set-top boxes. And while its remote lacks voice search—now table stakes on most other streamers—the Streaming Stick compensates with useful smartphone-based controls and an unparalleled app selection. 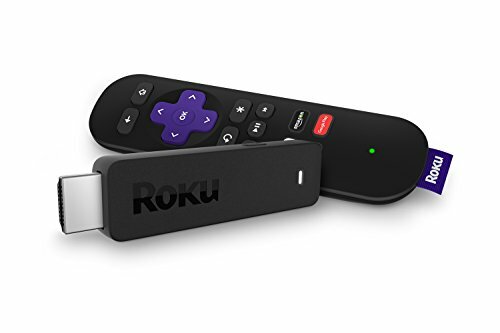 If you’re looking for a cheap way to bring internet smarts to your TV—or you’re tired of the speed and app limitations of your existing smart TV—the new Roku Streaming Stick is an easy recommendation. Part of the reason Roku’s platform has taken off is because the barriers to making an app are low. There are few barriers to entering the Roku Channel Store, and Roku’s templates make it easy to get a basic app up and running. As I’ve written in previous reviews, this is both a benefit and a burden. 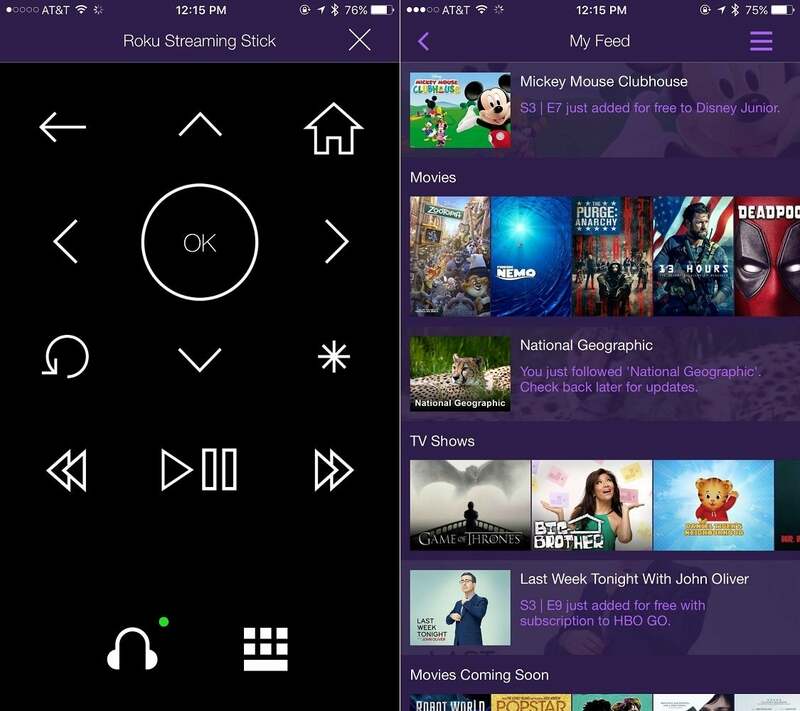 While Roku’s app selection excels at quantity, the quality of its apps are sometimes lacking. In HBO Go, for instance, you don’t get the lovely, image-driven interface found on the latest Apple TV. 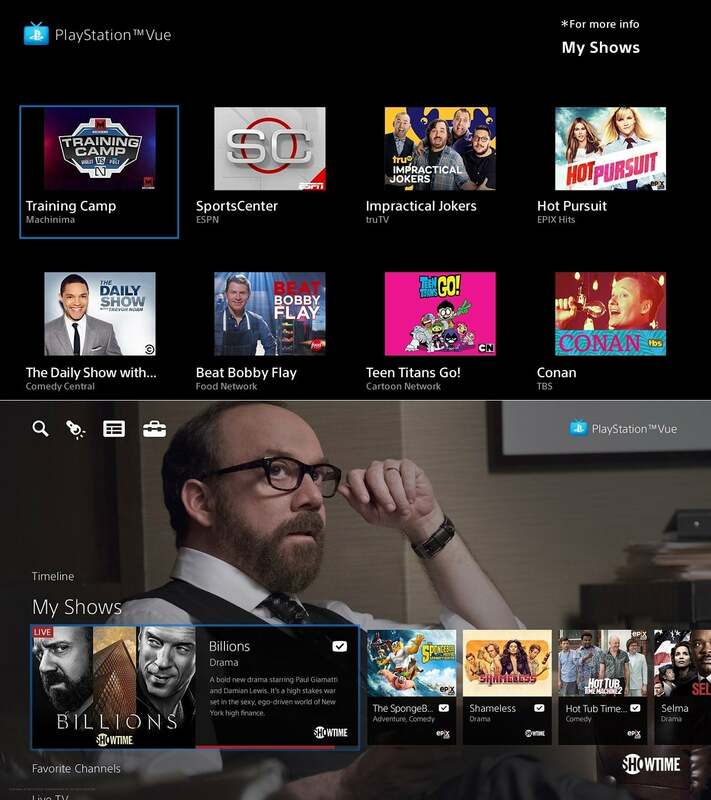 And in PlayStation Vue, there’s no channel guide and no ability to watch and browse at the same time. PlayStation Vue on Roku (top) isn’t as pretty or functional as the Fire TV and PlayStation versions (bottom), but at least it’s fast. These bare-bones apps are major liabilities for Roku’s more-expensive devices. But on a cheap device like the Roku Streaming Stick, they turn out to be strengths. 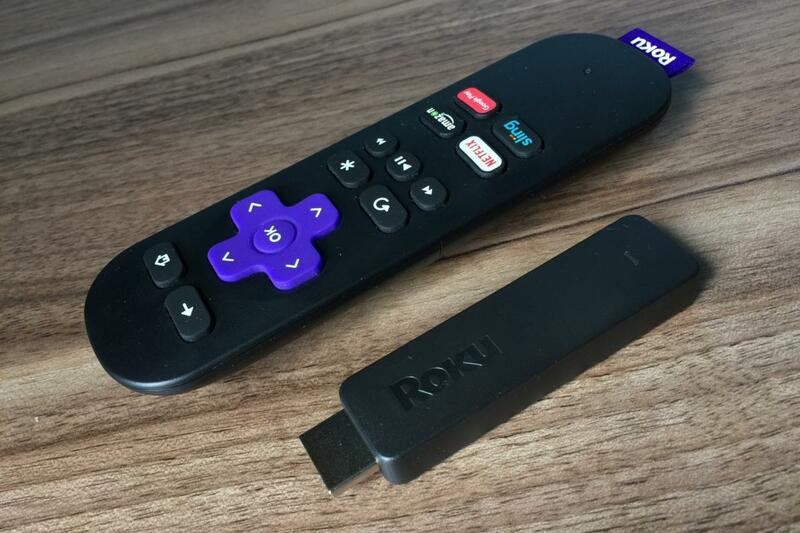 You don’t need much computing power to glide through Roku’s cookie-cutter app templates, so the Streaming Stick doesn’t feel like a compromise. (By comparison, the more ambitious apps on Amazon’s $40 Fire TV Stick can take forever to launch or grind to a halt.) It even handles 60-frames-per-second video for sports programming from apps like PlayStation Vue and MLB.tv—it looks as smooth as a cable feed. Having said that, the Roku Streaming Stick remote is in some ways better than the remote that comes with Roku’s set-top boxes. It’s slimmer, and the rubberized buttons have just the right firmness. Also, Roku has moved the “OK” button from below the directional pad to the center of it. This might be the most comfortable streaming remote I’ve ever used. Users aren’t completely without voice search and private listening, though: Both are available through Roku’s mobile app for iOS and Android, which also allows you to beam your personal photo and video library to the big screen. In my experience, however, the mobile app’s audio quality is inferior for private listening, as it sounds far more compressed than Roku’s remotes. And unless you commit to navigating primarily by phone, chances are you’re not going to break it out just for the occasional voice search. In most cases, you might as well just to a text search from Roku’s home screen. Roku’s mobile app lets you search, browse the Roku Feed, and listen privately through headphones. 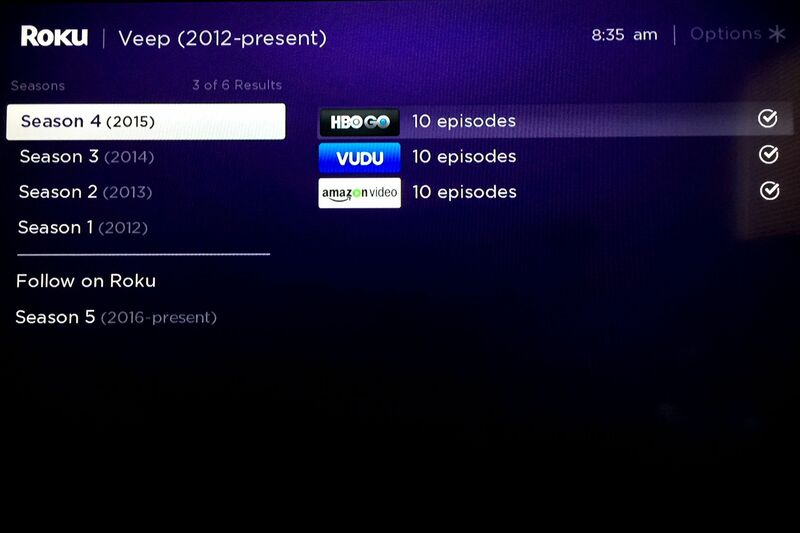 Speaking of universal search, Roku’s offering is more thorough than other platforms. In addition to looking across the big services like Netflix and Amazon, Roku also recently started indexing more obscure apps like SnagFilms and Shout! Factory TV. Still, it does have a couple of lingering problems: Information is sometimes inaccurate on rental pricing and availability, and there’s no way to search by genre like you can on some other streaming devices, including the fourth-generation Apple TV. Roku search results aren’t pretty, but they are often informative. 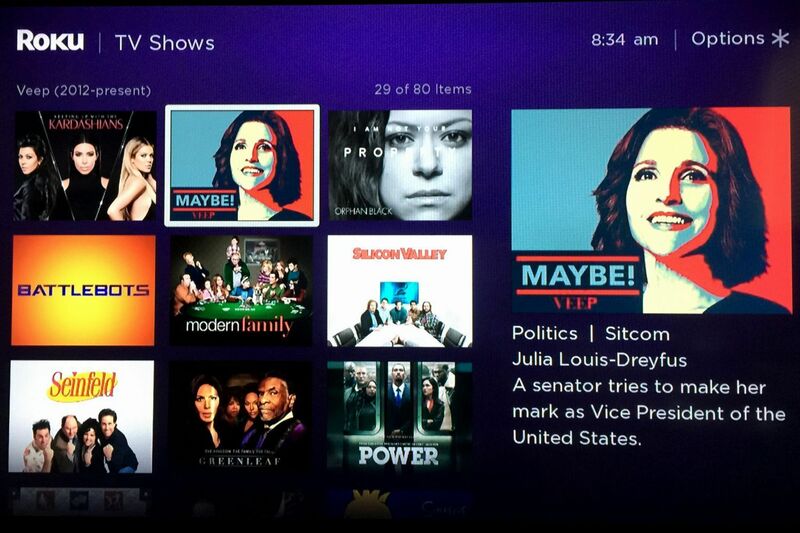 Roku Feed now lets you browse for TV shows from across different apps, and get notified when new episodes arrive. As noted in our streaming-stick comparison, the Roku Streaming Stick is a cut above Amazon’s Fire TV Stick ($40, or $50 with voice remote) and Google’s Chromecast ($35). It feels faster than the former, it has a dedicated remote unlike the latter, and it has a better app selection than both. Roku Feed is a forward-thinking feature that the competition would be wise to emulate. Typically, my advice is to err on the side of spending a little more, especially for a device you plan to use every day. And if that’s your choice, there are other options beyond the Roku ecosystem. The fourth-generation Apple TV ($150 and up) has the most powerful voice search and a clever swipe-based remote control, while the Amazon Fire TV ($100) is a fast and fairly cost-efficient way to stream 4K video. The Nvidia Shield Android TV ($200) is slowly becoming a powerful choice for tech enthusiasts, with 4K HDR video support and Plex Media Server capabilities. And yet, the new Roku Streaming Stick succeeds on so many fronts that it makes a strong case for spending less.